For a busy manager, it may be daunting to learn about employee training software. Here is everything you need to know. The task of choosing the right employee training software can be intimidating, especially for a manager who has never had to set up an online training program. Should the department build a single comprehensive online course, or should they design a training program that delivers short learning modules every day? Is it worth investing in mobile learning? And why even bother with online learning in the first place when the department has always done fine with in-person training? 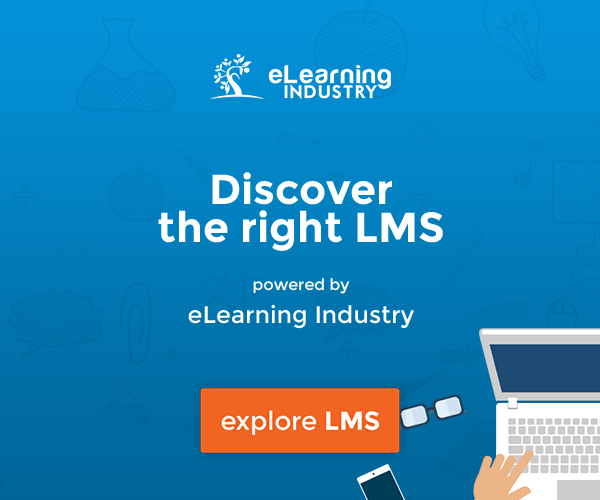 The sheer size of the rapidly training software market may be overwhelming—a recent report  projects that the Learning Management System (LMS) market will grow by $10 billion by 2021. In the face of so many online learning options, it may be tempting to stick with tried and true in-person employee training, but learning about employee training software can pay off for a manager in the long run. The right software  can save time and money, increase training ROI, and scale to meet your department’s needs. Here’s everything a manager needs to know to get started. Why Use Software To Train Employees? Rather than pay for an instructor, a classroom, and travel expense—or to lose the productivity of employees attending a training session on company time—an online course can often teach the same material for less. There is no need to schedule training courses when your employees can access an online course whenever they like, and in many cases, from wherever they are. Many online training courses work hard to keep learners engaged. The training modules are short and use interactive tools to keep employees learning. One training course might use a game to teach a skill. Another may provide only one short daily training module, keeping employees engaged with learning every day and increasing their retained knowledge by building regularly on their new knowledge. Still, other courses incorporate social elements, such as online discussion boards, or, if games are being used in training, a public leaderboard that allows all the employees to see each others’ scores. Who Is Using Employee Training Software? Many companies are using software to keep their employees up to speed, and this most likely includes your competitors. According to Training Magazine’s Training Industry Report , the amount of 'face-to-face' training that employees receive is declining; in 2016, 41% of employee training was done in a classroom, down from 46% in 2015. Meanwhile, online training is on the rise. Training Industry reports that in 2016, 30% of training was delivered online or via a computer, 27.5% of training was delivered using blended learning (a combination of online and in-person teaching), and a small but growing number of training hours were delivered via mobile technology—about 2.9%, up from 1.8% in 2015. Also, 40% of the companies surveyed for Training Magazine’s report plan to purchase an LMS in 2018 and beyond. How Does Training Software Work? Although there are still companies that use in-house systems to run their LMS, an increasing number of organizations use cloud-based employee training software. A report  by global market research firm Technavio predicts that, worldwide, more than 80% of organizations will adopt a cloud-based LMS by 2020. One of the reasons for such widespread adoption may be that small and mid-sized businesses will be better able to afford web-hosted training software. A cloud-hosted LMS can save organizations the cost of buying, installing, and hosting their software. Because cloud-based providers usually provide companies with the authoring tools they’ll need to build an online course, those companies don’t need to spend money on authoring software of their own. While cloud-based software is owned and hosted by a third party, often the software is white-labeled. This means that the software provider’s name and logo aren’t on the training modules seen by employees. Instead, it fits in with the company’s branding. There are several terms you should know if you’re researching online learning. Asynchronous online learning means that a course is available to a learner whenever they need it. Employees can take the course at their convenience. Most cloud-based training software is asynchronous. Synchronous learning, on the other hand, is online learning that meets at specific times, as a face-to-face training session would. Blended learning refers to training that incorporates online and in-person elements. Sometimes called "mastery-based" learning, competency-based training asks learners to demonstrate their ability to complete a task. Learners are often tested at the beginning of a course. They are, then, offered modules containing only the information they don’t know, and they cannot finish the course until they’ve mastered every learning objective. When training is gamified, elements of gameplay have been applied to learning. Some training software, for example, awards learners points or badges for completing activities relating to learning—completing a module, for example. Mobile training, sometimes called "mLearning", is training that is accessible via learners’ mobile devices. Some software is designed to adapt learning based on a learner’s behavior in a course. If a learner gets a certain number of questions on a quiz wrong, for example, they may be given extra practice by the software until they can get the answers right. While not all of these terms apply to every type of training software, managers searching for the most appropriate software for their departments will want to understand and investigate each one. For a busy manager, it may be daunting to learn about employee training software. Doing your homework and researching the employee training software that is right for your employees will go a long way toward narrowing the field so that you can find the system that fits your department, engages your employees and—most importantly—helps them learn. For example, if you already use a platform like BambooHR, you can use an app like Northpass that integrates directly with BambooHR to train your employees seamlessly. Otherwise, see The Complete LMS Buying Guide For SMBs to find the right LMS for you.